The three advertisements are short, to-the-point and make your heart go mushy. 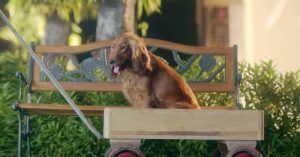 Reliance Car Insurance has come up with three digital advertisements featuring only dogs and all of them are highly entertaining. Created by Ogilvy Mumbai, the series of ads are running on YouTube. Each ad highlights the various services that Reliance Car Insurance provides, like flat-tyre assistance, free towing facilities and emergency fuel assistance. The first commercial shows a hopelessly-in-love cocker spaniel whose efforts to woo a poodle go awry when he realizes his dog collar is stuck and he can’t move. That’s when the super says Reliance Car Insurance provides free towing assistance with a visual of the now-free dog being towed. The second ad shows a happy and animated beagle that bursts his favourite ball while playing in the garden. He gets sad. The super says that Reliance Car Insurance offers you flat-tyre assistance. We see the beagle playing happily with the ball once again. The third ad shows us a handsome labrador running excitedly in full speed and eventually running out of breath. The super suggests that Reliance Car Insurance offers you emergency fuel assistance as the lab is given a bowl of food to eat. In all three advertisements, the background songs are catchy and well-written. They go extremely well with the visuals. The ads are short, to-the-point and showcase the exact features that the product offers. 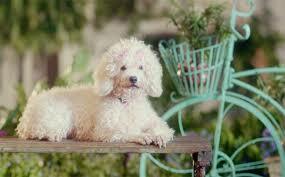 The dogs in the commercials take the cuteness quotient high up and are easy on the eye. The message is loud and clear without any sort of hyperbole or preachiness. While Vodafone’s Zoozoos are nothing short of iconic, Reliance Car Insurance’s latest campaign reminds you of them because you’re being introduced to several features of a product through a common hero (in this case: dogs).